This park is located in East Harlem that nurtures its entire community of children, teens, and adults. 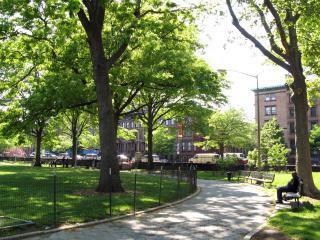 The park was names after Marcus Mosiah Garvey who as an advocate for economic independence within the black community. They have some beautiful rocks and trees that give the park a beautiful landscaping view. They now have three new play grounds, new sidewalks, a new baseball field, a garden club, and also a community center. You can feel the warmth and inviting ambience of the park, and can be enjoyed undisturbed. Another advantage would be how instructors teach swimming novices to swim in their indoor pool.